Without keyword research and selection of proper keywords for your website you cannot even think of ranking your website in search engine. You must have heard and read many of the SEO (Search Engine Optimisation) experts that you need to buy this tool that tool for keyword research and those tools cost a few hundred dollars. You know why they promote those keyword research tools because they make affiliate commission out of that. Well most have to as it is their daily bread. Here I am going to share the secret formula of keyword research with you. This long tail keyword research formula is totally free of cost and easy to understand. You don’t need to buy any costly paid SEO tools for this. Till the end of this post you will be able to find great keywords for your website that will convert for you and make money for you. First of we should learn about the categories or types of keywords. There are mainly 3 types of keywords which are Generic keywords, broad keywords and Long Tail Keywords. There is one more classification of keywords which you will learn below in this post. 1 What are generic keywords? 2 What are broad keywords? 3 A short story of long tail keywords? The very example of generic keywords is “smart phones” which is a unspecified and a very generic category in which you have no specific information. It is not difficult but impossible to rank for keywords like these as big big biggies are sitting on these and we cannot cross them in this era at least. Broad keywords are those keywords which define a particular broad category. Example of broad keyword is “samsung smart phones”. You can still see the broadness in this keyword phrase. It is defining a particular brand smart phone but still the user will not reach where he actually want to reach. These type of keywords are still very difficult to rank but sometimes the magic can happen in case of broad keywords. A short story of long tail keywords? Long tail keywords are the keywords phrases or sentences that we type in the search engines to get the desired specific results. “Samsung Galaxy J7 smart phone review”. These types of keywords are known as long tail keywords. These are very easy to optimize and rank in the search engines. The other benefit of long tail keywords is that they also include the generic and broad keywords and there are chances that your website may also rank for these in future. Let us move towards the first step of keyword research. The first and foremost task to do during researching the keywords is to find your niche related keywords. How to do this? Get onto Quora or any other authority question answers websites and put the search term say “smartphone reviews” in the search box and press enter. You will get a stream of questions and problems that people want to solve related to that keyword. This can be the general search term for your website or blog. Secondly you can get ideas by typing your niche term in Google Search Box and the smart search of Google will show you the different keyword ideas which you can note down. One of these can be your final keyword. Thirdly you can get ideas from the SEO yoast plugin as when you type keyword in the Focus Keyword tab. It shows us the relevant search terms and keywords that are frequently used and by the users. After this exercise you will be able to find 10-15 relative search terms. You need to sign up to Google Adwords which is free. You can sign up with your existing Google account. When you will sign up, you will be redirected to the Campaign Page of Google adwords. You will see Tools tab on the extreme right of the menu bar. Click on tools and a drop down will appear with a lot of different tools. Ignore all the tools except “Keyword Planner”. Click on this to find new keywords and to get the search volume data. You will see a page like this. Here you can search for new keywords using the website URL, related search term or category. You will be taken back to the page where you can check the monthly searches and other parameters for a keywords. We have already found the related search terms so we will put the search terms in the box. Then you will get all the related keyword Ad group ideas. We are here to find single keyword so we will click on the Keyword Ideas. You will now get the monthly searches of that particular keyword and also you will get the data of other related keywords as well. Now separate the keywords with more than 400 searches per month. Anything less than this will not be worthy for you. You will get a list of keywords which has 400+ monthly searches. Now we will move to the next step. To find the competition does not need any additional tool. It can be checked by the same keyword research tool. You will get the competition along with the Monthly searches when you look for the keyword ideas. The next column to the Avg. monthly searches is the Competition column. See above image to see the keyword competition. Competition is categorized into Low, Medium and High. This based on the people and agencies for the PPC Ads in google search engine. Well the competition do not have much significance in organic Search Engine Results but still we avoid the high competition keywords. Now we have collected two data forms for our keywords that are 1. Monthly Searches and 2. Competition. The competition must be Medium or Low and the keywords must have the high average monthly searches. The final determining step in the keyword research is to determine the keyword in the titles of the web pages. I know, this is strange for you. Isn’t it? Not really. You can see and find all the web pages with your keyword in their page title by typing a single search query in the search engine. You will also get the exact number of web pages that contains your keyword in their page title. This is the way to check the actual number of websites which are competing for this particular keywords and has that particular keyword in their titles. The Average monthly searches must be greater that 200 searches. Anything less that that will have no worth for you. The competition must be medium or low. you can also take high competition keywords as well with respect to other two conditions. The last determining step is to have the in titles of your keywords under 2000. This is because we can beat 2000 web pages with Off page SEO initially. Anything greater than that will will be difficult to overcome. We will put together all the data and then collectively see the relevance to find the niche related keywords for your mobile review website. Here I have obtained the following data for you following the above steps and we will determine the best keywords for your website. Now from this data you can easily club out the essential keywords which you can rank for your website. This is all that we required to do a high quality, long term and reliable long tail Keyword research. Look at the first keyword smartphone reviews. It has a lot of Monthly searches ie 14800, competition is very high and all in title is crossing 2000. It is far more than any expected. This is a generic keyword which we cannot take as we cannot compete the other websites for this particular keyword. Move to smartphone review 2015 and best smartphone reviews, the data for these is complying the essential keyword conditions to keep. Searches above 200, Competition is Low and all in title below 2000. All conditions are matching so we will keep these two keywords in our list. Moving to fourth one ie best smartphone overall, the stats shows 1000 searches, medium competition and 217 all in title which is also complying our keyword selection conditions. So we will also keep best smartphone overall in our keyword list. Let us analyze the last keyword news smartphone. It has the following conditions that corresponds to 1000 searches, Low competition and 9250 in titles. It is adhering to the first two conditions but failed to follow the third rule of keyword research. The intitle is above 9250 which means it is very difficult to compete with so many websites with same keyword in their page titles. We will not include this keyword in our keyword list. At last we will keep smartphone review 2015, best smartphone reviews and news smartphone in our keyword list. We will discard other two. Similarly you can find more keywords for your niche website. An important concept of Keyword Density and LSI keywords or Latent Semantic Indexing Keywords while using the keywords in the content. Now, we know how to find keywords for our website. The question is how many times that keyword should be used in a web page? The experts says that the Keyword Density should be between 1% to 2 %., not more than that. Now what is keyword density? It is the measure of occurrence of a particular keyword in the content. In simple words, it is the number of a particular keyword per hundred words. Formula for keyword density = (Number of Times a Keyword appears * 100) /Total number of words. If we are talking about 1-2% of keyword density in our article. It means our keyword should appear 1-2 times per 100 words. Now in order to get our blog and website into search engine search results, we use to stuff more and more keywords into the content. In this case the keyword density may cross the limit of 1-2%. Here comes the role of LSI keywords or Latent Semantic Indexing Keywords. It is a dreadful term to hear but is is very simple to understand. LSI keywords are the related keywords that you have chosen or used in your content. LSI keywords are based on the user behavior. If you see that the keyword density is limiting our range then, you should replace your actual keyword with the LSI keyword. eg If you are taking the keyword “best smartphone overall” and it limits the range, then you will search the related LSI keywords from user behavior and can replace with it. The LSI keyword in this case can be “best mobile phone ever”. Here you can see that the overall meaning of the line will remain same but the keyword density can be regulated. Thanks for reading this concise Keyword Research Guide by Rusty Blogger. Hope you can do long tail keyword research and local seo keyword research for your website. All the efforts are a fail if you fail to find suitable keywords for your website or your blog. Here I have done some homework for you to do a detailed Long Tail Keyword Research. 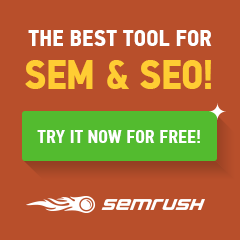 Use this free keyword research formula to have a great success in SEO. ← How a Blog can grow your Business by 300%? Very much helpful article. I ll must apply this idea while keyword research. Sir this trick was very much helpful for me to find keywords related to my website. Sir this ‘d be helpful if you can also share some ideas how to promote an Indian site in other countries without cost. Thanks Sonia for you kind response and hope this was helpful for you. Tnku sir for this great article..it’ll will surely help me a lot in searching keywords. Awesome man very useful post for newbies. if you have time then please write the article about “How to submit sites to google” for “crawling” and “Indexing”. Step by Step with detailed description. Thanks Ravindra for your concern. I ll be shortly coming with my new post on Crawling and Indexing. Great job…very useful detail of long tail keywords usage. Thanks for sharing!!! Thanks for standing by Sumit. hope this will help you to find long tail Keywords. Great Information.Got knowledge after reading.Thanks for sharing this with us.